Stethoscopes have been around for quite a long time. As technology advances, they are only going to get better. Take the Thinklabs One Digital Stethoscope, this is a small but powerful stethoscope that fits in the palm of your hand and works with your audio headphones. You can get a studio quality pair of in-ear headphones from Thinklabs or bring your own. The device has a simple user interface and offers powerful filtering options. The One has audio amplifiers and bass response to offer you with a higher quality experience. The battery is rechargeable and should last 100 – 125 patient exams per charge. Thanks to Thinklink, you can record and share sounds using your iPhone, Android, or Mac/PC devices. Let’s not forget about the Stethoscope , iMurmur, and other apps you can use to record, visualize, and share sounds. Like what you see? Thinklabs’ One Digital Stethoscope sets you back $499 at the time of this writing. 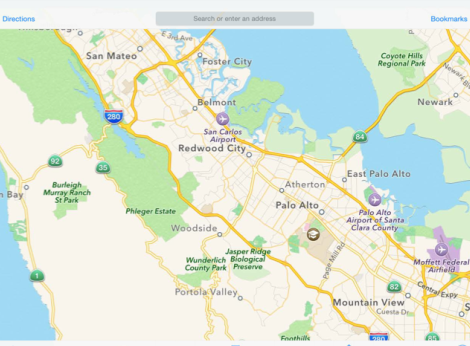 iPad To Get Split-Screen Multitasking, Transit Directions for iOS?